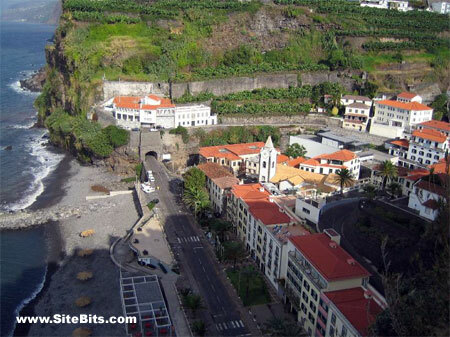 The small and tranquil town of Ponta do Sol lies on the south shore of Madeira, about 45 minutes from the airport. 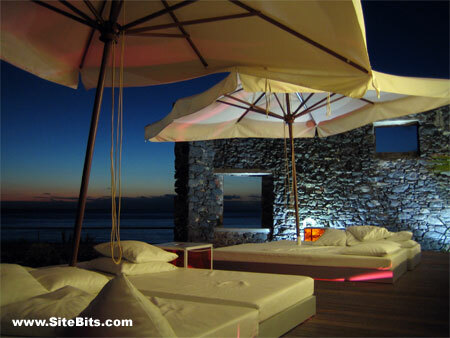 It has a stone beach, a few restaurants, and, as the name suggests, the most hours of sunshine per day on the island. 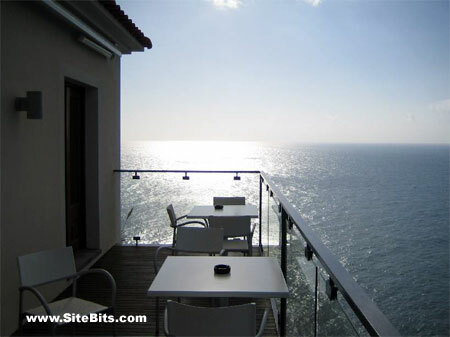 It’s not exactly the kind of place you would expect to find designer digs like the Hotel Ponta do Sol, but the perhaps somewhat unexpected location only enhances the hotel experience. 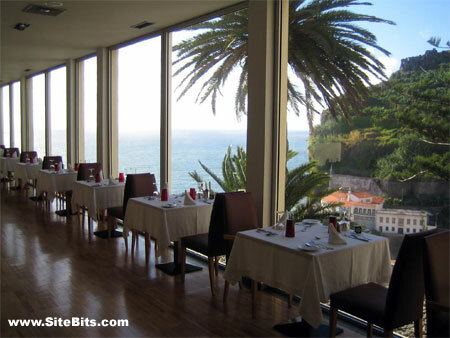 The hotel is perched on top of a dramatic slate cliff, and for once, I found a hotel that really lives up to the quality of its website’s pictures. It is truly an architectural gem, and with spaces blending surrounding nature with the man-built environment, the whole thing is entirely conducive to relaxation. The decor is luxurious yet subdued and does not distract your attention from the beautiful land- and sea-scapes around you. 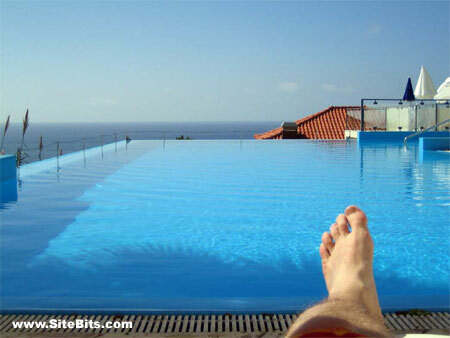 In fact, the two are perfectly blended, as demonstrated by the ultra-modern swimming pool which "merges" with the horizon, and perhaps summing up the design philosophy of the hotel. Interesting people stay here and few children, which adds to the peaceful atmosphere. The rooms are simple but I’d say more than adequate. The hotel provides an airport transfer as well as a daily shuttle to the capital city. The staff can also suggest good hiking routes. For all this luxury and beauty, the hotel is not dirt cheap - but at about 100€ a night it is not the most expensive on the island, either. And anyway, for the environment like this - one that lulls you into the relaxed state and cradles you on a sea cliff - it is well worth the price.